Well, Hello There! Thanks for Joining the Fun! 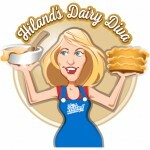 I’m Jenny, aka the Dairy Diva, and you could say I’m a foodie because of my love for making wholesome dishes using farm-fresh Hiland Dairy products. You could also categorize me as a “craftateer” because I really enjoy repurposing my Hiland Dairy containers into functional and crafty items. I can’t take all the credit, though! My husband and three kids are along for the ride and pitch in whenever I need them to taste, mix, pour, glue, cut, look cute for a photo, or simply inspire me with a question or suggestion. I also gather inspiration from the many places I’ve lived and the wonderful people I’ve met. My journey started in Iowa, where I was born and raised. It’s also where I eventually met my husband. After we married, we packed our bags — and our homes — and moved to a variety of locales: Oklahoma, Minnesota, Wisconsin, Pennsylvania, Nebraska and, recently, Texas. We had three beautiful children along the way, but one thing has always remained the same: Our unwavering love of faith, family and food! 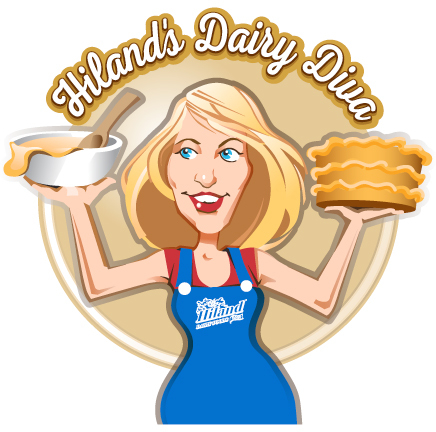 So, join me a few times a month, right here, as I share my Hiland culinary creations, customized crafts and tips you need for a simpler you.